Piscataway, New Jersey, USA, January 2018: Ni-Bin Chang, Professor of Environmental Engineering with University of Central Florida, from Orlando, Florida, USA has been named an IEEE Fellow. He is being recognized for contributions to computational techniques for the analysis of environmental sustainability. He made seminal advancements through various environmental sensing, monitoring and modeling techniques for a green, smart, and healthy living environment. Dr. Chang conducted highly interdisciplinary research to discover new knowledge through monitoring and modeling sustainable urban metabolism and earth system processes in the nexus of water availability and quality, air quality, waste flows, urban growth, and ecosystem health and safety under climate change and globalization impact. His work is also closely tied to industry and government to which he had licensed 9 environmental sustainability technologies patented in the United States. His research efforts not only help the minimization of operational disruption of infrastructure systems due to human activities and natural disasters, but also promote sustainable infrastructure management, risk control, and green city planning and design at different scales. Some of his work was incorporated by a report of World Conservation Monitoring Centre, the United Nations Environment Program (Oct., 2013), and the European Commission’s environmental news service for policy makers – Science for Environment Policy News Alert (Feb. 2008). 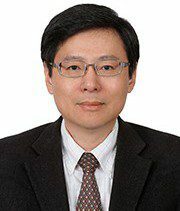 He is an activist in the IEEE Systems Council serving as an associate editor for the IEEE Systems Journal and supporting the newly developed Environmental Engineering Initiative as the vice chair for publication, while joining many other activities in the IEEE Society of Systems Man, and Cybernetics, the IEEE Society of Geoscience and Remote Sensing, and the IEEE Society of Computational Intelligence. He was the General Chair of the IEEE International Conference on Networking, Sensing and Control (ICNSC), IEEE Systems, Man, and Cybernetics Society, Miami, USA, April 9 – 12, 2014. Dr. Chang received his Bachelor of Science degree in civil engineering from the National Chiao-Tung University in Taiwan, as well as his Master of Science and Doctor of Philosophy degree in environmental systems engineering from the Cornell University in the United States of America. Since 1987, he has received over thirty awards nationally and internationally, including the ASCE Outstanding Achievement Award in 2010, the Fulbright Scholar Award from the Department of State and German-American Fulbright Council in 2012, the Bridging the Gaps Award from the Engineering and Physical Sciences Research Council (the United Kingdom) in 2012, the Distinguished Visiting Fellowship from the Royal Academy of Engineering (the United Kingdom) in 2014, the IEEE Meritorious Services Award from the IEEE Systems, Man, and Cybernetics Society in 2014, and the Blaise Pascal Medal from the European Academy of Sciences in 2016. The citation of the prestigious Blaise Pascal Medal is “for his outstanding contribution in Environmental Sustainability, Green Engineering, and Systems Analysis “. With his achievements, he is an elected Fellow of the International Society of Optics and Photonics (SPIE), the Royal Society of Chemistry (RSC, the United Kingdom), the ASCE, and the American Association for the Advancement of Science (AAAS), as well as a Member of the European Academy of Sciences (EURASC). He served as a board member of the EURASC from 2009 to 2015. He has a strong record of services to the IEEE, SPIE, and ASCE communities.